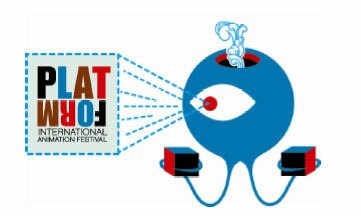 Looking to fill the need for a major animation event in the U.S., the PLATFORM International Animation Festival will be a literal platform for artists, innovation, debate and discussion as well as set the stage to explore new developments in animation. The Festival program will feature premieres and retrospectives, exclusive screenings, guest speakers, exhibitions, workshops with leading artists, parties and networking opportunities with industry insiders. The Festival is being solely sponsored by Cartoon Network. PLATFORM represents a brand new breed of festival. Along with being an international competition with cash prizes, the Festival will break boundaries into other art forms including comics, illustration, character and toy design, motion graphics, gallery art and live action cinema. “In all the talk about this new platform and that new platform, no one is really talking about what makes good content for these areas, or how to grow a generation of creators for these platforms. That’s why Cartoon Network is proud to be the sole sponsor of this important new international festival and competition. PLATFORM will serve as a special place where emerging artists and talents can learn, grow, be inspired and showcase their work,” said Michael Ouweleen, Cartoon Networkâ€™s Senior VP, Programming & Development. That sounds pretty good to Dimples if they can pull it off. Visit the Platform website for more information and for a look at some absolutely great flash animation.